Single flower made from stones. 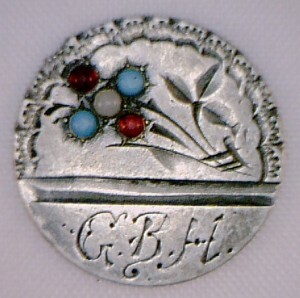 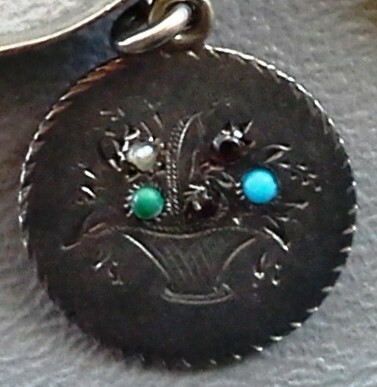 Stone flower and “G.B.H.” Floral with “F.P.” on 1891 dime. 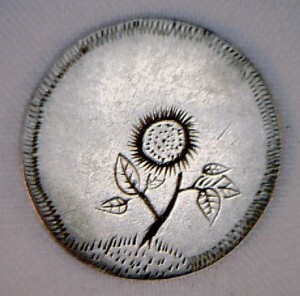 Sunflower on 1841 dime. 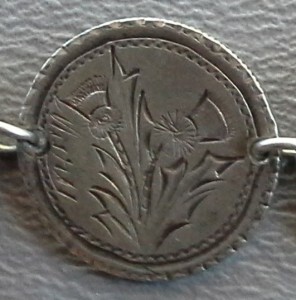 Thistle flower. 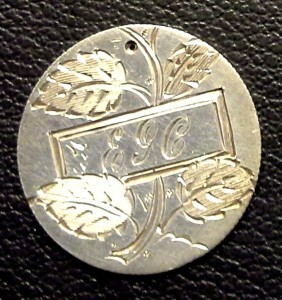 Silver fern and initial overlay. 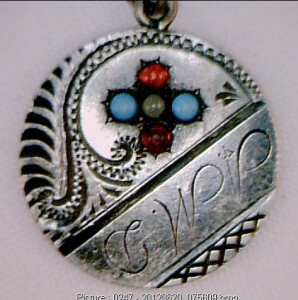 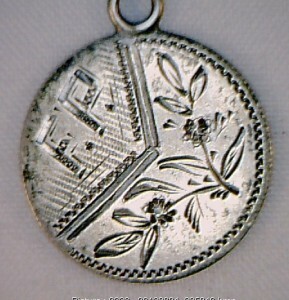 Forget-me-not on 3 cent silver. 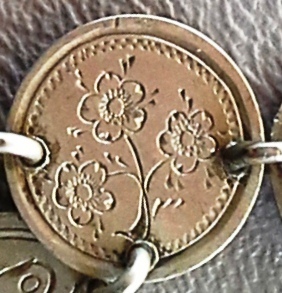 Forget-me-nots on 3 cent silver. 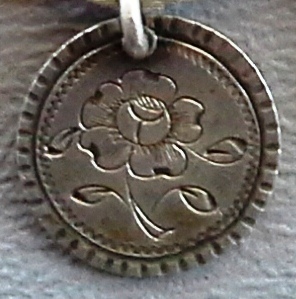 Rose on three cent silver. 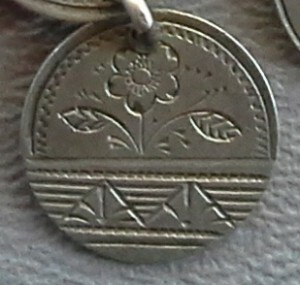 Floral on three cent silver. 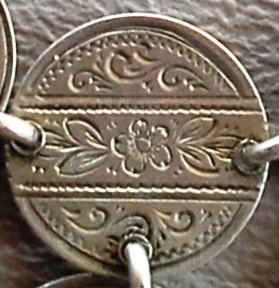 Flower basket with stones. 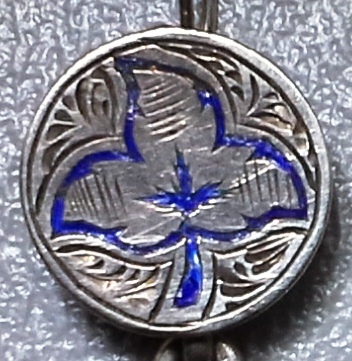 Blue enamel leaf. 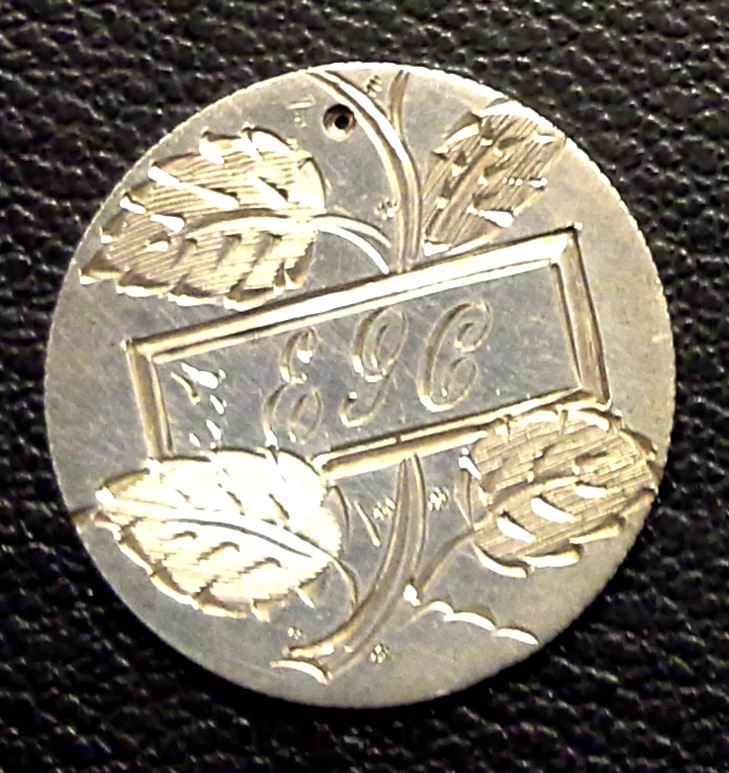 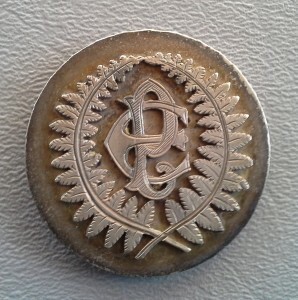 ND, double sided love token.